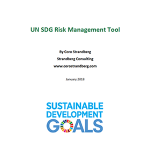 Environmental and social issues are growing in importance and will increasingly affect the viability of business – and the communities and environments where they operate. One proven way to address these issues is through business-non-profit partnerships in which both organizations collaborate for mutual benefit and create solutions to societal challenges. 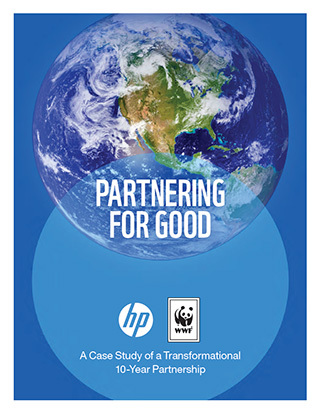 This case study profiles the ten-year collaboration between HP Canada and WWF-Canada in their ambition to reduce the environmental footprint of Canadian business. They each benefited by tapping into the expertise and resources of the other, engaging employees, building their brands and increasing customer and public attraction and engagement – to further environmental conservation. Leveraging the best of both, they harnessed social innovation strategies to create transformational programs to help put Canada on a more sustainable path. Theirs is a long-term partnership focused on co-creation and a relationship of equals. The future will need more cross-sectoral collaboration like this to address the societal challenges ahead, enabling ten billion people to live well on a healthy planet by 2050. The HP Canada and WWF-Canada partnership provides insights on how companies and non-profits can work together to address the biggest, most complex and critical issues of our time.